I recently did a review of Pennyful.in which is an exciting Cashback and Coupons website with some really innovative features. Pennyful.in is currently running Pennyful March Madness Festival where customers can save even more on their shopping on Flipkart, Snapdeal, Amazon and Paytm through extra cashback! The Pennyful March Madness Festival runs till 31st March, 2015. But, this is not all. The readers of my blog get an added cashback too. Isn’t it fantastic? And so simple too. All you have to do is follow the guidelines given below. Don’t forget to leave your comment in the comments section to help the kind folks at Pennyful.in track your purchase. Participants should be new to Pennyful.in. 3 Lucky Winners will be selected based on a lucky draw and will be announced on this blog on 2nd April 2015. The prize amount will be credited to the users Pennyful.in account after the order gets tracked by Pennyful.in. Participants need to transact at least once on Pennyful.in’s partner stores. Please note: Online Mobile Recharges and online Food online sites will not be eligible for the contest. Minimum transaction amount needs to be Rs. 100. 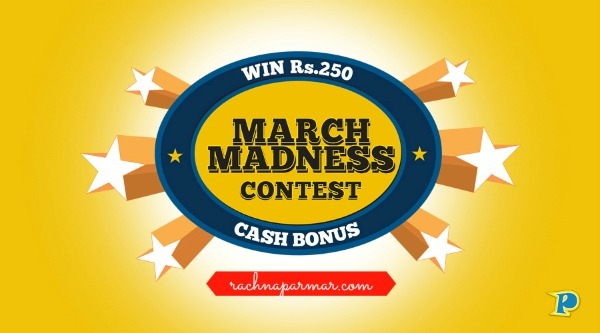 Participants need to comment “Pennyful March Madness Rocks” on the comments section of this blog to be eligible. Only one transaction per participant will be taken into consideration. Contest ends on 11:59:59 PM on 31st March 2015. Do participate, enjoy online shopping and get more Cashback and who knows you may get some added cash too. Good luck! Sounds super interesting! Pennyful March Madness Rocks! A query… does this cashback work on gift vouchers too? Thanks, Sourav and good luck. I must tell you…I had very bad experience from Flipkart as the quality supplied was very poor. Sorry to hear that, Chowlaji. I have shopped often on Flipkart and my experience has always been good. You could have returned the product at no charge. They allow that.